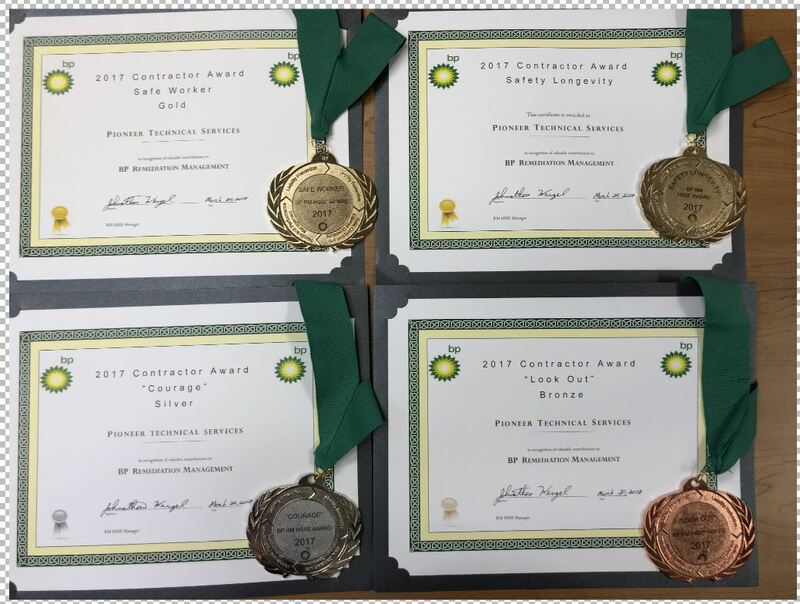 A commitment to safety driven by dedicated employees helped Pioneer receive four awards at the annual BP-RM Supplier Meeting in Houston (one of only two companies receiving that many awards). 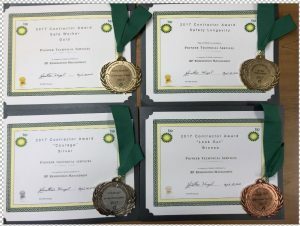 Pioneer received gold awards for Safe Worker and Safety Longevity and silver for Stop Work observations and a bronze for safety observations. Great job everyone. Gold – Safe Worker – for the number of hours worked on RM [Remediation Management] projects in 2017 without an incident. Gold – Safety Longevity – for working five years on RM projects without an incident. This reflects the excellent company culture and awareness of safety in Pioneer. Silver – Courage Award – for the number of Stop Work observations per hours worked. Thanks for the great effort and attention to completing these! Bronze – Look Out Award – for number of safety observations per hours worked. Pioneer would like to thank everyone for their continued commitment to safety. Without your dedication and excellent work, we would not have the great safety culture that we have at Pioneer. Pioneer receiving safety awards. 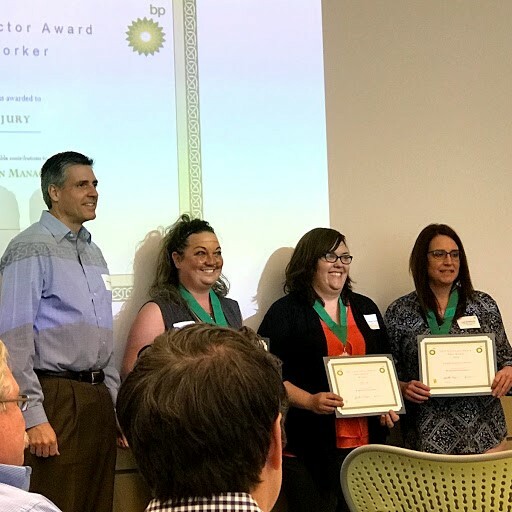 Pioneer safety and health manager, Tara Schleeman (far right) receiving one of the safety awards.